Characterise the uncertainties arising for single instruments (Task 3.1). Characterise the uncertainties arising for more spatially comprehensive network comparisons (Task 3.2). Develop software tools to enable the use in the forthcoming “Virtual Observatory” (WP5, Task 3.3). 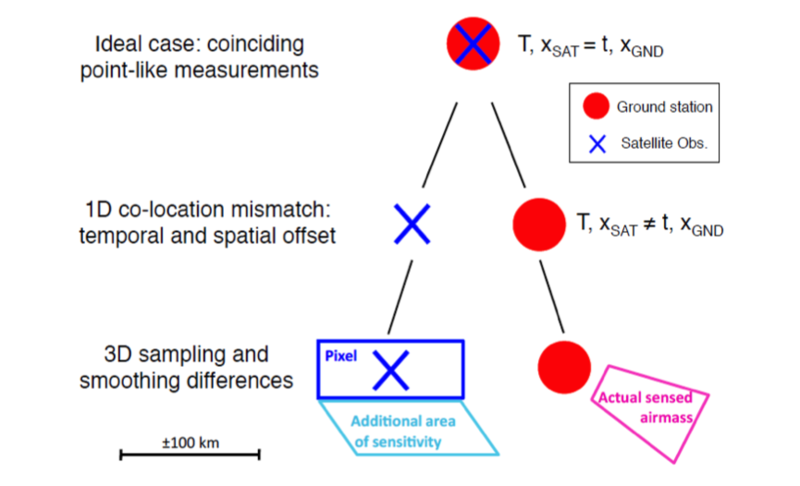 Figure: Conceptual visualisation of the metrology of a satellite-ground measurement comparison Verhoelst et al., 2015.